The Nido Fortified Science Discovery Center joins the celebration of the National Science Week in coordination with the Department of Science and Technology from July 20 to 26 with special lecture workshops that will help kids become better learners and encourage parents to take an active role in their kids’ development. Two interesting lecture workshops that will discuss how kids can do better in school and how parents can encourage them to increase interest in learning science while having fun are slated for three successive Saturdays of July until August. On July 18, 25, and August 1, learn how to create Mind Maps to help your kids organize their thoughts and understand concepts better using techniques developed by Tony Buzan, a world renowned guru on brain power and the inventor of Mind Maps, the most powerful and transformative thinking tool today. The Buzan Power Learning Workshops will teach you how to create Mind Maps which will help you make notes to retain important information in a fun way, creatively organize the day, find solutions to a problem, or explain an idea or concept. A Mind Map is a powerful graphic technique which provides a universal key to unlock the potential of your brain. It harnesses a full range of brain skills such as word, image, number, logic, rhythm, color, and spatial awareness in a single, uniquely powerful manner. This way, it gives you the freedom to roam the infinite expanses of your brain. Making a Mind Map is easy to do— you just need a blank unlined paper, colored pens or pencils, your brain, and your imagination. When you use Mind Maps everyday, you will find that your life becomes more productive, fulfilled, and successful on every level. Buzan has written more than 90 books on maximizing brain power, with sales in over 150 countries. His books have been translated into 33 languages. Among his latest books is Brain Child, which is written for parents who want to bring up smart kids. The workshop sessions will be conducted by Ivy Marquez, a licensed Buzan instructor trained at the Buzan Center Asia in Singapore. “Parents who are actively involved in the learning and teaching of their children will find mind mapping a handy and effective tool to impart knowledge to kids,” says Marquez, who has a wealth of experience with kids in her 10 years of homeschooling and tutoring. Marquez is a BA Mass Communication graduate from the University of the Philippines in Diliman. 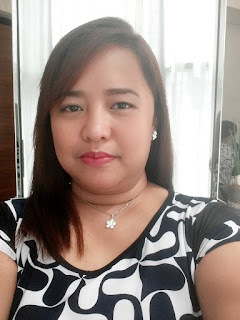 She worked as corporate communications officer at San Miguel Foods, Inc. and has served as Kid's Church Director in Victory Christian Fellowship for 15 years. On July 25 at 10 am, Kids are from Jupiter: Nurturing Inquisitive Minds by Dr. Grace Shangkuan Koo, Ph.D, promises an interesting Saturday morning as it discusses the need to nurture children’s inquisitive minds at homes and in schools. Dr. Shangkuan Koo will present how the human brain works such as the functions of the right and left hemispheres, and how teachers and parents should deal with children’s questions everyday. She will also discuss a child’s natural behavior like his need to move and play, as well as his insights and openness, sense of humor and wonder. Today, parents and teachers face a lot of questions from kids who are curious about many things. For example, when a kid asks, “Why is the moon silver and round?” the best thing to do is welcome the question and try to answer it that will satisfy a kid’s curiosity. Ignoring or dismissing a child’s question as stupid would discourage the child and might dampen his innate curiosity. After the seminar, Dr. Shangkuan Koo will welcome questions during an open forum. She will also conduct a creative thinking exercise for the participants. Dr. Shangkuan Koo is an associate professor of educational psychology at the University of the Philippines in Diliman. She took her post-doctoral studies as a visiting scholar at Harvard University Graduate School of Education in 2003 and studied with Drs. Howard Gardner and Kurt Fischer. She contributes articles on education, parenting, classical music critiques, and travel stories to the Philippine Daily Inquirer. To register for these sessions, please call the following numbers: 813-2732/03 and 830-2191 for the Buzan Power Learning Workshops and 727-8838 or 09178273124 for Kids are from Jupiter seminar. Official Press Release from NIDO Fortified Science Discovery Center. The NIDO Fortified Science Discovery Center is located at SM Mall of Asia, Pasay City. And what city and state are these going to be held at? Hi Catherine! Sorry for leaving these details behind. Anyway, the NIDO FORTIFIED Science Discovery Center is in SM Mall of Asia, Pasay City, Philippines.